In a moment of frustration and desperation with my iPhone 3G I ran to the AT&T store to pick up a new phone. 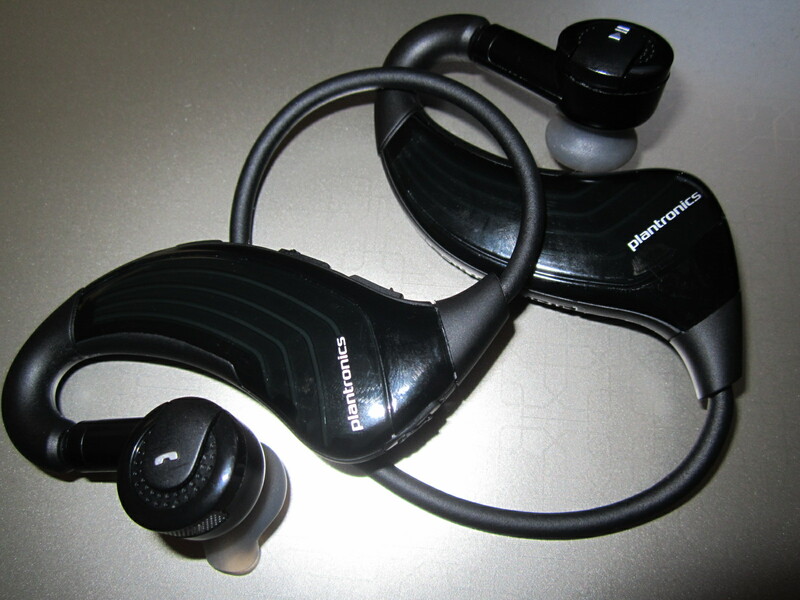 I purchased some accessories while along with a new Android phone (so far a fail), one being the Plantronics Backbeat 903+ Bluetooth headphones. There were no plans to use them for talking, they were strictly to be used for listening to music through the new phone or anything else I could hook them up to. The headphones were easy to connect to the handset, were fully charged within about two hours and were really comfortable on the ear and inside the ear. The sound is good and you can pause, skip forward/back, adjust the sound of the music and take calls from the headset. The transmit range is listed at 30 feet and it may be a bit more based on my usage. The very best thing about the Backbeat 903+ or any of its competitors is the freedom from a wire. I can’t tell you how many times I have hit that blasted wire and watched whatever music player I was using fly off the back of a treadmill, elliptical, etc. I highly recommended the 903+ for about two months, then November came. I need to play music for 1 hour and 15 minutes, that the maximum time I’d spend in the gym. For two months I could go in, run those headphones three days in the gym and charge them once a week. However when November came I’d charge the headphones on Sunday night, head to the gym Monday morning, listen to the headset lady tell me I have 7 hours remaining and withing 30 minutes of a treadmill run that same lady was telling me “battery level is low”, “recharge battery”. Understanding that the 7 hours is talk time, not listening time, I still couldn’t understand how I could go from 3 hours of listening a week or more between charges to 30 minutes. The malfunction was wholly unreasonable and an incredible fail for somebody who MUST have music in the gym because the music they play over the air is WACK. Well these headphones turned out to be wack as well. I called Plantronics customer service and of course the young man was surprised and said that he never gets calls about the 903+ (yeah right), however, he was helpful and efficient and today I transmitted documentation for a replacement headset as they are still within warranty. What is to be determined is whether the replacement headsets will perform for longer than two months. I hope they do because I really did dig them. Do you use a wireless headset? Which one(s)? How do you use them and have you had any failures? Let me know in the comments. 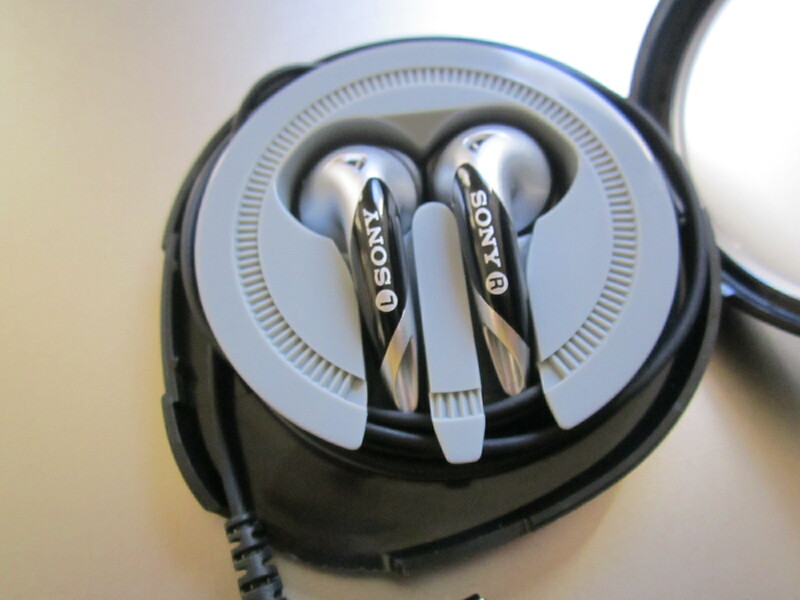 In the meantime, I’m rocking these Sony earbuds which sound great but leave my ears hurting when I take them out.